Provide comfort for the family of Clara Brooks with a meaningful gesture of sympathy. SHERBURNE: Clara Lee Marcelle (Shampang) Brooks, 86, of Handsome Brook Trailer Court, formerly of Earlville, passed away Sunday, January 20, 2019 at her home. She was born May 9, 1932 in Butternuts, NY, a daughter of Edwin and Edna Moore Shampang and received her education in Morris schools. She had married Donald E. Brooks. Clara was a seamstress for the Hamilton House Interior Design Store in Norwich making custom drapes and curtains for 17 years. She had been a waitress for the Sherburne Inn at age 16, and later worked for several other local firms including the Earlville Paper Box Co., the Sherburne Knitting Mill, and Simmonds Precision. She had also done housekeeping for area families. Clara loved gardening and growing vegetables that were the biggest part of her garden. She also enjoyed cooking. Surviving are her companion of 29 years, Alvin Brown; her children, Kenneth and Irene Brooks of Dexter, NY; Debra and Gerald Rockwell, II of Earlville; grandchildren, Adam Brooks of Boise, ID; Kimberlyn Dailey and Greg Dougherty of Earlville; great-grandchild, Alexa Dougherty; nieces, Cathy French and her son, Kerry of Canandaigua; and Kathy Shampang of CA. Funeral services will be held at 2pm Friday, January 25, 2019 at the Burgess & Tedesco Funeral Home, 3 Preston St., Earlville. Friends are invited to call at the funeral home on Friday from Noon to 2pm prior to the service. Interment will be in the South New Berlin Cemetery in the spring. Contributions in her memory may be made to St. Jude’s Children’s Research Hospital, 501 St. Jude Pl., Memphis, TN 38105-9959. 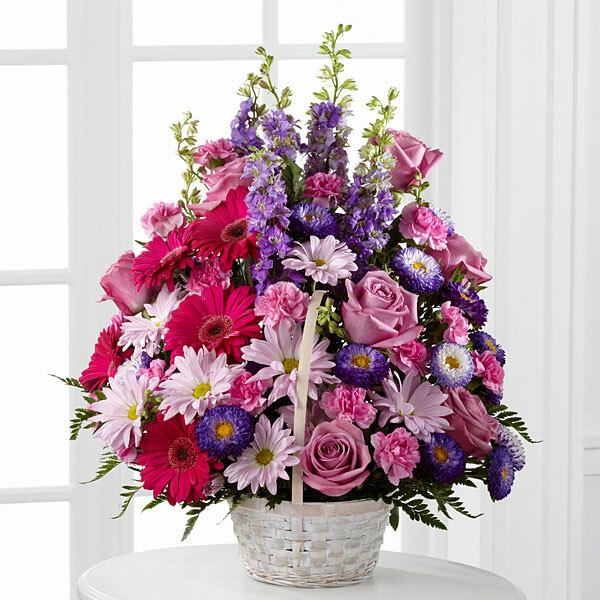 To send flowers in memory of Clara Lee "Marcelle" Brooks (Shampang), please visit our Heartfelt Sympathies Store. Tom Upton and Family sent flowers to the family of Clara Lee "Marcelle" Brooks (Shampang). Dear Ken and Debbie, Our hearts go out to you at this difficult time. Marcelle was a sweet, giving, and kind person who will always be remembered lovingly. Our deepest sympathies with love from Sarah Siegel and Bill Sherman. Marcel was a great lady will be missed dearly!! She was my mother and my neighbor for many years. Many of my mother's grandchild enjoyed treats from Marcel. Marcel always had fruit my girls my little one loves grapes and Marcel would share hers with her. When we passed Al and Marcel ,we were always greeted with big smiles!! Rest in peace my sweet lady!! Fly high and shine down bright. Sending our prayers to all her family! What good times Marcelle and I have had together over the past many, many years. We visited frequently in person or on the phone and I will miss that. My sincere message of sympathy to the family. Please accept our heartfelt condolences. She will be remembered for her warm smile and gracious greetings. I will miss her. Tom Upton and Family purchased flowers for the family of Clara Brooks.